At Beaufort Medical we aim to put patient care first! We provide an extensive range of anti-ageing,cosmetic and aesthetic treatments and procedures through our team of highly trained physicians in modern but friendly clinical settings. We also provide other healthcare related treatments and services to promote the well being of our patients. If you are considering plastic surgery or non surgical solutions, choosing you plastic surgeon or cosmetic doctor can be one of the most difficult but important tasks. It is vital that you do your research fully before making a decision on who to see. Your practitioners should be trained and registered with the General Medical Council. If you are considering plastic surgery or cosmetic surgery then the surgeon should be on the specialist register of the GMC and should have completed training as a plastic surgeon. The best skin care which you can provide is to protect your skin by ensuring that you have a healthy diet, take regular moderate exercise, do not smoke and take alcohol only in moderation. Sun exposure is one of the most damaging factors leading to premature ageing of the skin and even skin cancers. Skincare (PRESCRIBEDsolutions) products are available which can help to slow the appearance of the natural ageing process. Your doctor will be able to advise on the most suitable treatments for your particular type of skin. Skin Peels (Chemical Peels) – the appearance of the skin can be affected by the accumulation of the dead surface layers leading to clogging of pores and poor complexion. Skin peels can improve the skins appearance by removing the thick dead layers on the skins surface. This removes the signs of sun damage – including irregularity of the pigmentation in the skin. Dermal Fillers such as Restylane are very effective methods of reducing the appearance of facial lines and wrinkles. Facial volumisers such as Sculptra can help to replace the loss of volume which generally occurs as we age causing a loss of cheek structure and the drooping of the mid and lower face leading to sagging skin in the jaw line area. Medical microdermabrasion. Microdermabrasion uses fine crystals drawn over the surface of the face at high speed to remove the dead, dull top layers of the skin revealing the fresh, bright, smoother appearance often seen in younger skin. Thread vein removal – facial and leg thread veins are very common. Thread veins appear as we age due to thinning and damage to the tiny blood vessels in the skin which break and become exposed. They can be made worse by excess alcohol, smoking, sun exposure and hormonal changes, particularly in women. Thread veins are also found on the legs which are unsightly, although not a cause for concern. A number of treatments are available to treat and remove these abnormal vessels including sclerotherapy, IPL (Intense Pulsed Light) and laser. Varicose veins - Varicose veins on the legs can be unsightly and cause much embarrassment to sufferers, however many patients also experience symptoms including aching, throbbing and even pain. Varicose veins are caused by valves which become incompetent and leak causing a back pressure down the leg. Over time this causes the veins to become varicose - dilating and becoming much larger, visible and eventually large enough to touch. Treatment of varicose veins can be carried out using old traditional methods such as stripping and avulsion (pulling the veins out) or by more modern and less uncomfortable techniques such as Foam Sclerotherapy (injection) or if more extensive by a technique called Endovenous Laser Ablation (EVLA) also known as Endovenous Laser Therapy (EVLT) involving a fine fibre being passed into the vein and then, using a laser to seal the abnormal veins. Intense Pulsed Light (IPL) systems can be used for the treatment of a number of other conditions associated with the skin including vascular lesions, pigmented lesions, skin rejuvenation, rosacea, acne and acne scarring. Fractional Resurfacing (Active Fx, Pixel, Fraxel, SmartXide) use various methods to deliver a fine pattern of laser beam dots to the skin. SmartXide resurfacing improves the quality of the skin decreasing fine lines and wrinkles, smoothing the skin surface, skin tightening and removing irregular pigmentation and small thread veins which are often seen in sun damaged skin. We offer SmartXide DOT fractional skin resurfacing and Active Fx. These are revolutionary new treatments reducing downtime and improving results. SmartXide resurfacing produces results comparable to traditional carbon dioxide resurfacing techniques. The use of bacterial toxins to produce chemical denervation and muscle relaxation is one of the most effective and probably the most popular non surgical treatments for improving line and wrinkles around the eye, brow and the area between the eyes. Skin Surgery - Many people have problems with their skin which cause concern or cause problems, for example skin tags, cysts and moles. These can catch on clothing or irritate. Many patients request removal of such lesions for non-cosmetic reasons. These can be removed under local anaesthetic with minor discomfort, usually with good cosmetic results and minimal scarring being visible. Mole removal can also be carried out if they show suspicious features or if there is any doubt about their innocence. Cosmetic Surgery for Women – Women account for more than 80% of all cosmetic surgery procedures and the most popular procedures of all involve breast surgery (including breast reduction and breast augmentation). Other popular surgical treatments include: eye bag removal (bleharoplasty), face lifts, neck lifts. Liposuction and tummy tucks (abdominoplasty). Cosmetic Surgery for Men - Men are now becoming much more aware of what cosmetic surgery has to offer in terms of how men look and how they feel about themselves. Popular procedures for men include: brow lifts, nose reshaping, liposuction, eye bag removal surgery, neck lifts, face lifts, tummy tucks and male chest reduction. Acne and Acne Scarring: Acne and acne scarring can be severe life limiting conditions. There are a number of treatments available at Beaufort Clinic for the treatment of acne (active acne) and acne scarring. We can guide you as to the best treatments to suit your individual skin and types of symptoms you have. If you are 18 or 55, if you suffer from acne or acne scarring then we can help to relieve your suffering. Rosacea: Rosacea is a distressing condition involving a combination of symptoms including facial flushing, thickening of the skin, spots and cysts and formation of red veins. These symptoms can be effectively treated using laser and Intense Pulsed Light systems. Dr Dobson is a Specialist Cosmetic and Laser Physician. He is also a qualified General Practitioner. 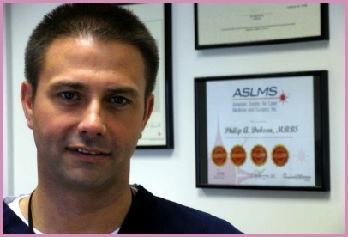 To learn more about Dr Philip Dobson click HERE. Mr Ghosh specialises in providing advanced surgical cosmetic treatments for patients of the Beaufort Clinic. To learn more about Mr Sudip Ghosh click HERE. Mr Gajraj provides advanced treatments for varicose veins including Foam Sclerotherapy and Endovenous Laser Ablation. Botulinum toxin (Botox, Dyport and Xeomin) remains the most popular of all non surgical cosmetic procedures. It works by blocking the signals from the nerves preventing the contraction of the facial muscles. Botox MK Botox in Northampton Botox in Stoney Stratford Botox Bedford Botox Aylesbury Botox injections, Botox treatments, Botox in Milton Keynes, Botox in Buckinghamshire, Botox for men. Botox hyperhidrosis treatment Botox sweating Botox in Milton Keynes. Patients from all around the Buckinghamshire are come to see Dr Dobson to a full range of Cosmetic and Aesthetic treatments including Botox, Restylane and Sculptra. Skin Surgery - mole removal skin tag removal cyst (sebaceous) removal lump removal. Skin surgery and the removal of moles and other skin tags, cysts and lipomas is available from the Beaufort Clinic. SmartXide DOT laser therapy, SmartXide fractional laser resurfacing. Carbon dioxide fractional skin resurfacing in the form of the SmartXide DOT laser system is comparable to the Lumenis ActiveFx (Active FX) and the Fraxel Repair laser systems. Are your leg veins an embarrassment or worse? If the veins on you legs have stopped you from wearing swim suites and skirts this summer or if they itch, ache or cause you discomfort then now is the time to think about doing something about them! Sclerotherapy is a safe treatment involving tiny injections into the veins which can completely remove them. Sclerotherapy is available at the Beaufort Medical - click HERE for more information or call us to book an appointment on 0845 003 7364 now. Summer holiday time is fast approaching again but don't forget that you must take along your sun protection. We recommend that you use an SPF 50 with a UVA protection rating of at least three stars. Remember a sun tan may look good for a couple of weeks after you holiday but heavy sun exposure can do profound damage to you skin and is the major cause of skin cancers! Beaufort Medical is now able to offer a breakthrough technique in the art of facial re-contouring. As we age our faces loose volume from the cheek and the area under the eye (tear trough) leading to a gaunt and drawn appearance. Traditional techniques of treating this condition can take multiple treatments and can be painful or cause extensive bruising. Our new Pix’L Canula Technique enables us to place volume restoring products precisely where they are needed with minimum discomfort and bruising. The techniques gives instant facial re-contouring restoring the youthful fresh appearance. Click HERE to see Before and After photographs! Contact the clinic for a consultation now! In the full flow of the holiday season please do not forget to protect yourself (and the children) from the damaging effects of the sun. If you are "flying off" for a well earned break or even spending some time catching up on the gardening the rules should be the same. Firstly ensure that you stay in the shade between the hours of 11am and 3pm, not only because this is the hottest part of the day but also because the suns rays are filtered by less atmosphere when it is high in the sky so more of the damaging radiation reaches our skin. Secondly make sure you NEVER burn. Cover up with a T shirt, broad brimmed hat and sun glasses (the backs of your eyes can also be damaged by the sun). Apply sunscreen of SPF30 frequently throughout the day. Finally be especially careful with the children. Their skin cancer risk when they are in their 50s and 60s is mainly set by how well you look after their skin when they are young! Why should you choose Beaufort Medical? At the Beaufort Medical you can relax, secure in the knowledge that you are in safe hands. Your comfort and safety are our top priority. Our staff are fully trained and experienced and we only recommend effective and proven treatments which will give our patients the best possible results.